Home › Jobs & Funding › Willing to apply for the HR Award? Check the examples of endorsement letters published in the Policy Library or read the technical guidelines for more details. 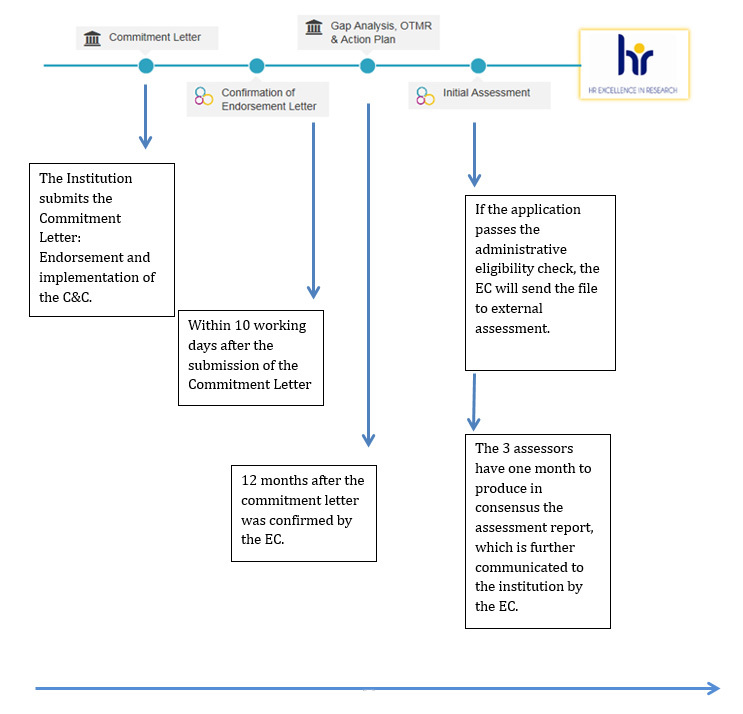 After the receipt of the confirmation letter by the European Commission, the institution has 12 months to fill in the Gap Analysis, the OTM-R and the Action Plan templates in the HRS4R E-tool. Check/Download the templates and read the technical guidelines for more details. Should you encounter difficulties, please contact the functional mailbox: RTD-CHARTER@ec.europa.eu. The institution will have access to the consensus report within 3 months after the administrative eligibility check has been communicated as positive. The outcome of the assessment is officially announced via email (the email address provided as contact when completing the first step of the application process).